A new class of network security applications from IBM could be of great value to enterprises struggling to deal with increasing amounts of malware. The company’s new Security Network Protection XGS 5000 is said to help with this by proactively protecting companies from a wide range of evolving security threats, including those posed by social media sites and malicious websites. It will allow organisations to immediately pinpoint which applications and websites are being accessed and identify precisely where any misuse is happening. It also uses intelligent application-level controls to enforce a company’s security policies. This could be good news for businesses looking fordedicated servers that are struggling to keep their networks and data centres secure. While SnelServer.com can help deliver the latest hosting tools to firms, such as reliable, high-speed quad-core dedicated servers, the IBM software may be valuable to secure networks. According to IBM, the solution is optimised to guard against network threats that are masked within common traffic and prevents attacks from exploiting vulnerabilities in a system. General manager of IBM’s Security Systems Division Brendan Hannigan said: “The escalation of targeted attacks and rapid adoption of mobility, cloud and social media requires companies to take a new approach to securing the enterprise.” He claimed IBM is in a “unique position” to assist with addressing these challenges thanks to its new Advanced Threat Protection Platform. This “combines total security intelligence from within the enterprise, exhaustive external threat intelligence and the new XGS appliance that delivers fine-grained activity detection and control”, he continued. Such solutions are likely to be more important than ever to small and medium-sized enterprises, as it was recently claimed by Symantec that these firms are increasingly under attack by hackers. The security firm claimed the number of targeted threats aimed at these businesses has climbed from 18 per cent at the end of 2011 to 36 per cent by the end of June this year. Paul Wood, cyber security intelligence manager at Symantec, noted that many of these attacks may not be aimed directly at these firms, but are instead looking to use less robust security measures at these companies as a stepping stone to larger firms elsewhere in the supply chain. 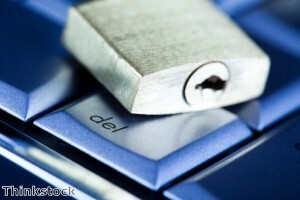 IBM will be offering IBM Security Netwrok Protection XGS 5000 the third quarter of 2012.